Bottom: Earning "Nature Detective" badges with the Van Cortlandt Urban Park Rangers Building our own bridge, inspired by the amazing George Washington Bridge. Check out our 2018 Summer Camp Newsletter! We offer summer day camp programs for children in grades K-8 in two locations. 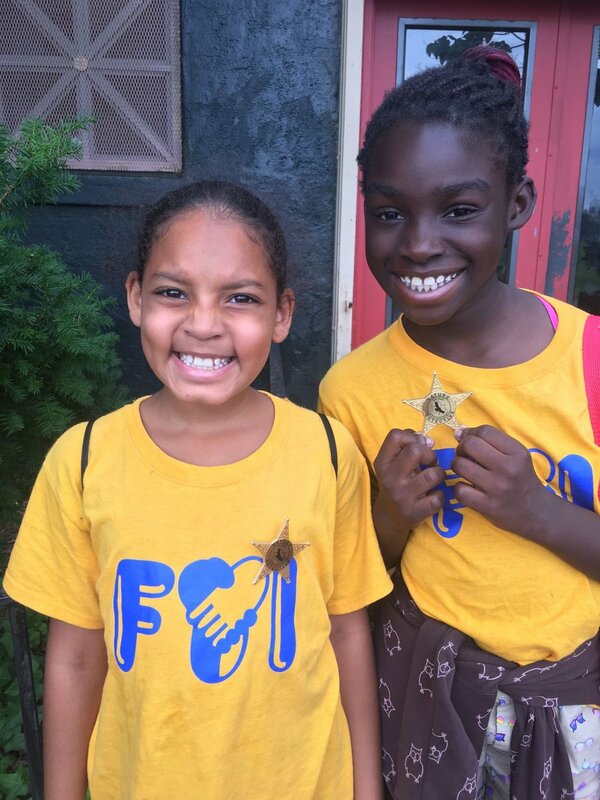 FYI's summer camp offers fun, hands-on community service activities, lots of great day trips around the city, sports and games, arts and crafts, and swimming. We also make sure students are ready for the new school year with exciting STEM projects and LitClubs. See below for details about each camp. You can download an application at the bottom of the page. Summer camps are free of charge, thanks to funding from the NYC Department of Youth and Community Development (DYCD). 2018 enrollment is now closed.